Home | General Bird Care | Baby Birds | Bird Breeding – Why Do Good Parents Sometimes Attack Their Chicks? Bird Breeding – Why Do Good Parents Sometimes Attack Their Chicks? 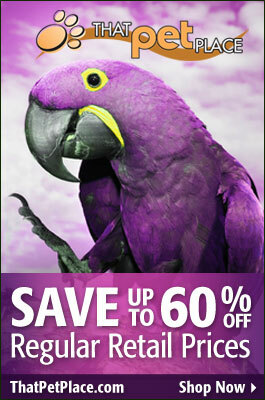 Parrots that pair up well, mate, hatch eggs and feed their chicks are every bird-breeders dream. However, some such birds present us with a frustrating situation – just as the chicks begin to grow feathers, one or both of the otherwise doting parents begin to pluck at their chicks’ feathers. Bleeding and skin bruising follow, and, while the chicks usually recover, they are often left high-strung and nervous. Chicks housed in outdoor aviaries may suffer from exposure and chilling as well. 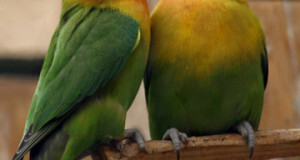 Chick-plucking is most commonly observed among peach-faced lovebirds, budgerigars and cockatiels (particularly lutino cockatiels). Attacks on the plumage usually commence when the feathers first emerge from the skin, and may continue until the time they unfurl. Oddly, the erring adults continue to feed their offspring throughout, and remain good parents once the plucking ceases. Unfortunately, chick-plucking parents usually do not change, and subsequent offspring are usually attacked as well; there is also evidence that chicks born to “plucking parents” repeat the cycle when they mature and reproduce. The most likely explanation for this perplexing behavior is that it results from frustrated attempts by the parents to preen the emerging feathers. Unable to perform this task properly on the thin, unfurled plumage, the anxious parents begin pulling at the feathers. The fact that most attacks are confined to the chicks’ napes and upper wings – areas not reachable by the chicks and usually attended to by the parents, lends support to this theory. Bitter Apple Spray is often successful in deterring plumage attacks, but is best applied before plucking begins. If the chick’s skin is broken, consult your veterinarian before applying Bitter Apple or similar products. Captive breeding, while immensely rewarding, is not without its problems. To read about other potential concerns, please see my article Spring’s Affect on Cage Birds. Previous: The English Budgerigar – Calmer and Quieter than its American Cousin? 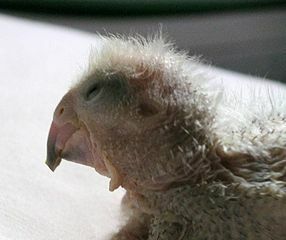 Anyone have experience with father canary plucking feathers of babies? I removed the father but the mother doesn’t seem to be feeding the babies as much as she did when the male was in the cage. What do I do? Thanks for your interest in our blog. 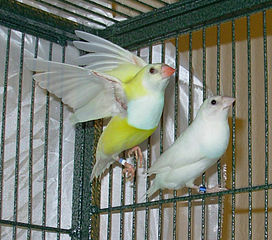 Many of the same basic principles as mentioned in the article on parrots apply to canaries and other finches as well. A larger cage sometimes helps (I would try with next clutch, and not move this one). Single parents usually adjust and are often able to raise the young alone. Be sure the hen is given a highly nutritious diet, with plenty of protein – Egg Food is especially important at this time.